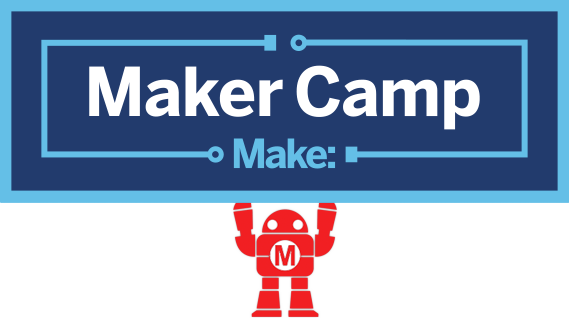 Maker Camp has been a free for hosts since the program began in 2012. Your expenses depend on the projects you choose to do with your campers and how many campers you serve. Through our partnership with Google, we work hard to obtain generous funding to support our affiliates, however the amount of funding varies and is not guaranteed. As a host, you will be provided some tools and materials free of charge. It may be necessary however, to acquire or purchase some materials on your own depending on the projects you choose. Diversity in participants is encouraged, therefore it is important that you design a curriculum that is as low-cost (or no-cost) to campers as possible. Occasionally, some projects requires higher-end electronics, such as Arduino, Raspberry Pi, littleBits, and MaKey MaKey. We offer a Maker Camp discount at makershed.com to offset your costs.